"Judge Battle was a well-read, painstaking and sound lawyer. He was well grounded in the great principles of the law, and was specially familiar with the law and judicial decisions of our own State. Indeed, there has been no lawyer more learned than he in the laws of this State. He was exceedingly fond and proud of his profession; he upheld its honor always and everywhere, and he was an honor to it. "He was a learned, patient and upright judge. His judicial opinions were well considered and able, some of them strikingly so, and they afford an enduring monument to his memory, while they reflect high distinction on the Bench of the State." Let me add, for the edification of the younger members of the bar, an anecdote of Judge Battle. In his early days at the bar he was not successful in getting practice. In fact, he said that but for the encouraging words of his wife he would have abandoned the profession in despair. The depression of spirit on this account preyed on his health. His physicians, according to the practice of the old school, advised a whiskey toddy before breakfast. He tried the remedy for some days. One morning, while dressing, he suddenly said, "I have resolved not to take another glass of whiskey." His wife said, "Why? I thought it was doing you good." "Perhaps you are right," said he, "but I found myself dressing fast in order to get to my drink, and I know, by that, it is dangerous." Such was his dread of that terrible poison, which has slain hundreds of our bright and promising lawyers, some of them, even in early life, the leaders of the bar. Matthias Evans Manly was the last of the old ante-war Court. He was a strong-minded and able man. Like Judges Pearson, Battle and Ashe, he graduated at our University, all of them among the best scholars of their classes. Being a good mathematician, he was employed, after graduation, as an assistant in the mathematical department, and on a vacancy in the professorship, offered to take charge of the department. Although deemed qualified, his youth was considered an objection, and Dr. James Phillips was elected. He then addressed himself to the law, and soon reached the top of his profession. His judicial career extends from 1840 to 1865, twenty-five years, during nineteen of which he was on the Superior Court Bench. He was elected to the Supreme Court in 1859, on the final retirement of Judge Ruffin. Judge Manly was a very sound and well-read lawyer. He had not the manners of a successful politician. He forced his way by unbending principle, unwavering faithfulness to duty, intellectual force and dauntless pluck. When on the Superior Court Bench he had the undoubting confidence of all in his ability and learning and love of justice. But he sometimes lost patience with the prolixities and wranglings and apparent endeavors to take advantages, of which members of the bar in their zeal are sometimes guilty. His language and manner were, on such occasions, more caustic than was agreeable to the victims. I saw him once administer a rebuke to two of the most eminent practitioners of the State. "I do not sit here," he fiercely said, "to listen to the angry wranglings of attorneys. They must cease." There was no more indecorum during that term. Judge Manly was on the Supreme Court Bench only about six years. During most of this time, while the great civil war was raging, the number of cases before the Court was greatly diminished. He had not, therefore, the opportunity of rivaling the reputation of the greatest judges of the old Court, but his opinions are clear and forcible, and show that he was a learned and able judge. He was Speaker of the State Senate in 1866. The General Assembly for that year elected him Senator of the United States, as a colleague of Wm. A. Graham, but neither was allowed to take his seat. He died on June 10, 1881, with the universal respect and confidence of the people. It is not within my plan to give notices of the living, so I will only mention that after a distinguished career at the bar, in Congress and in the Supreme Court, which he reached after serving about four years as a Superior Court Judge, Edwin Godwin Reade, now most ably presiding over a national bank, is the last survivor of the judges of our highest tribunal elected by the General Assembly. Of those elected by the people three have gone to their final homes. Of these Nathaniel Boyden came to the Bench at a greater age than any other of all the judges-at three score and sixteen. He had been an active member of the bar for forty-eight years, had been a member of the State and Federal legislatures, but had never held a judicial office. He had a mind of a high order, was a most adroit, zealous and successful practitioner, possessed abundant learning in the law, and was a conspicuous figure in the nisi prius courts of the State. If he had come to the Supreme Court Bench at an earlier age, and had larger practice in its duties, he would have won high distinction as a judge. Thomas Settle was eminently fitted for political life. He had great force of character, uncommon oratorical powers, a bold and independent spirit, a high order of ability, and exceedingly agreeable manners. The campaign between him and Zebulon B. Vance for governor in 1876, will long be remembered for its brilliancy, only equaled, according to tradition, by that between Graham and Hoke in 1844. He was a successful practitioner in the courts, winning fame as Solicitor of his circuit in the prosecution of criminals. He was a ready and accomplished presiding officer of our State Senate and House of Commons. His heart was not in the judgeship, as was shown by his twice resigning his seat in order to enter the political field. His opinions, though pointed and clear, do not show the learning and logical powers of the old-time judges. He had the ability, however, to become a great judge, if his ambition had taken that direction. 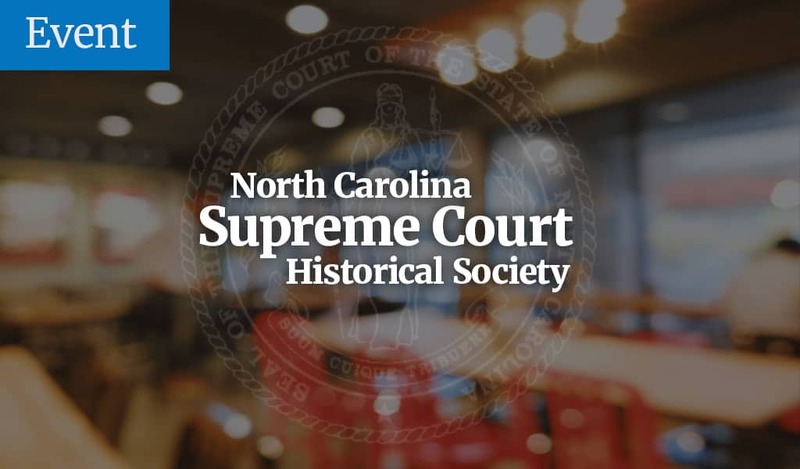 Thomas Samuel Ashe, a lineal descendant of one of the first three Supreme Court Judges of free North Carolina, was after the best type of our great judges. After an eminent career at the bar and in the State Legislature, and as Confederate States Senator and member of the Lower House of Congress of the United States, he came to the Supreme Bench by popular election in 1878, at the age of sixty-six. He died in February 1887, after eight years' service. He threw his whole strength into his work. He endeavored to make up for the time lost from the law while engaged in exacting legislative duties, and time-consuming practice in the Superior Courts, by close and unremitting study, trenching on the hours needed for repose. He succeeded in adding to his already great reputation for ability, and by the strength and learning displayed in his opinions he won a place little inferior to the best of his predecessors. It is believed that the severe labors his conscientiousness forced on him shortened his life. For the encouragement of those twigs of the law whose early success is impeded by bashfulness-a rare quality, however, in these spouting days-permit me to state that, when Mr. Ashe made his first speech-it was at Hillsboro court-his fright was so great that his tongue refused to go further than "Gentlemen of the Jury." He was about to take his seat in despair, when Mr. Priestly Mangum, the County Solicitor, arose and said: "May it please your Worships, I request the gentleman to stop a moment, to allow me to call some witnesses to go before the Grand Jury." This kindly interruption gave the young attorney time to recover his self-possession, and he made a creditable appearance. Judge Dillard, recognized as one of our ablest lawyers, told me that his (Dillard's) first case was in Danville, Va., where the pleadings were required to be drawn out in full. He declared on a promissory note, "payable 90 days after date." These words were carelessly omitted in his declaration, and the consequence was a fatal variance in the proof. Said the Judge: "I took a non-suit, paid the costs ($13.50) out of my own pocket, and got more profit out of that expenditure than out of any I have since made. I was afterwards careful never to make a mistake." I feel sure the Judge will pardon me for putting on record this incident, on account of its valuable lesson to those whom he loves so well, the young men of the bar. Mr. Chief Justice: In conclusion I return to you and your associates, and to the members of the bar, my thanks for the great honor you have conferred on me in assigning to me the preparation and delivery of this address. It has been to me a labor of love. From boyhood I have had the strongest veneration for the Supreme Court of North Carolina. Far back in my memory, on the borderland of childhood, in the days of Devereux and Battle, I can see the neatly written copies by my mother, as amanuensis, of the opinions of Ruffin, Daniel and Gaston, and I can recall her voice as she praised their greatness and by these praises sought to arouse the ambition of her children. A collateral benefit of the establishment of the Court has been the elevation of the bar of the State, by their constantly having before their eyes the highest standard of legal learning, tireless industry, and inflexible rectitude. The labors of the students are stimulated by the hope of winning the encomiums of the examining judges, the labors of the lawyers are stimulated by the hope of winning the decisions of the Court, the Superior Court Judges are urged to greater diligence and care by fear of their reversals. The aspiring spirits fix their eyes on the lofty prize of a seat on the Bench, and, thanks to a justice-loving people, strive to gain it, not by the politician's wiles, but by becoming conspicuous for legal learning and spotless character. It is a glorious thing that all our people have an assured confidence that the mantles of our great and good judges of the past have fallen on men worthy to wear them, on men who will leave the Court to their successors, fixed in the hearts of the people, as firmly as are the eternal principles of Magna Charta and the Bill of Rights, of which it is the trusty guardian.